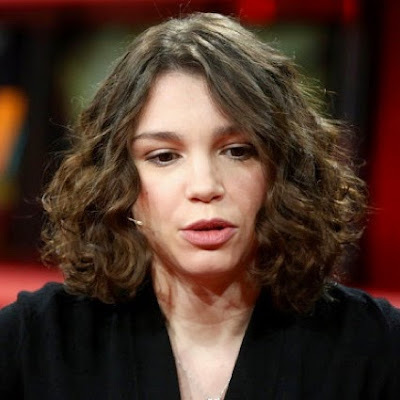 MOSCOW, Russia -- Nemtsov's daughter says Vladimir Putin "politically" to blame for his murder, as Russian politicians reject call for international investigation into opposition leader's death. Zhanna Nemtsova, daughter of murdered Russian opposition leader Boris Nemtsov. Zhanna Nemtsova, 30, told the BBC that she believed Putin bore responsibility for her father's assassination, although she had no evidence of the Russian president's guilt. She made the comment as MPs in Moscow dismissed calls from the European Parliament to launch an international investigation into the killing. Miss Nemtsova said of Mr Nemtsov: "There is a clear motive: for one decade he was the most prominent critic of Putin. He was the most powerful leader of the opposition in Russia. "Now we do not have any other figure so powerful ... with so much expertise and experience to confront the officials." Mr Nemtsov was shot four times in the back as he walked home across a bridge near the Kremlin with his girlfriend on February 27. Two men from the North Caucasus region were charged with his murder on Sunday, and three others are in custody as suspects. Investigators have not outlined their alleged motive or whether they were acting under orders. In Strasbourg, the European Parliament issued a resolution on Thursday calling for an international investigation into Mr Nemtsov's death. Irina Yarovaya, the head of the security committee in the State Duma, Russia's lower house of parliament, railed against the West in response. She told reporters that Russian investigators would only cooperate with foreign authorities if the evidence led abroad. "In the light of the indifference and practically the encouragement of mass murder of civilians in Donbass, this statement by the European Parliament looks like a political farce, that unfortunately, confirms that the killing of Nemtsov was cynically choreographed by the West." Ivan Melnikov, the deputy speaker of the duma, called the Strasbourg resolution "bombastic hysteria". Last week Putin said Mr Nemtsov's murder was shameful and tragic and asked senior police officers to give "serious attention" to solving high-profile crimes, "including those with a political motive".